Molly Watson. The Spruce Eats, 2011. This classic fish sandwich is a mainstay on Hawaiian menus, where it is often listed as a fish burger. The best one I ever had was from a lunch truck in the parking lot of a fish store—the kind of fish store right near the pier and the fish comes in, gets cleaned and put on ice in the counter within minutes, and eager customers show up early in the day lest their favorite sells out. Both the store and the truck had a lovely ocean view. I've modeled this recipe off that sandwich, but have experienced first-hand with this recipe what is always true about fish dishes: the fresher the fish, the tastier it will be. In Hawaii, these sandwiches are usually made with mahi-mahi (a.k.a. Dorado) or ono, both of which are ocean fish with firm flesh and lots of flavors that give the "burger" a great meaty feel. 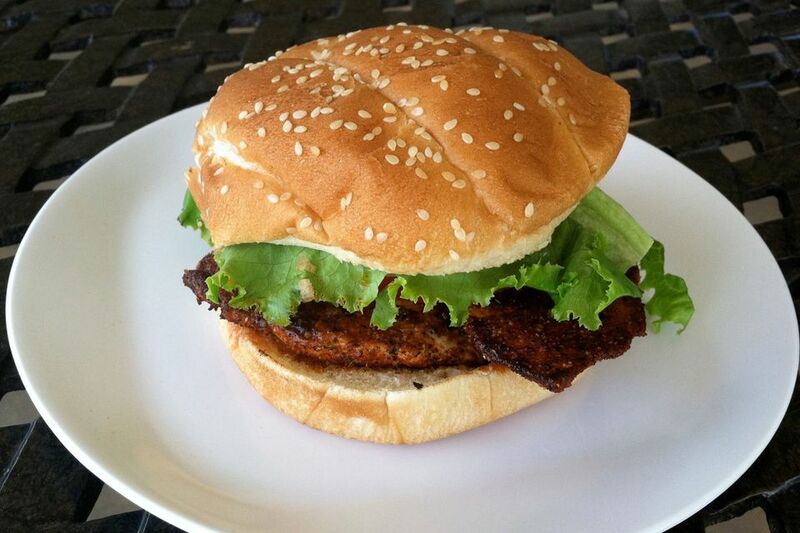 Another firm white fish, like farmed tilapia, makes a perfectly tasty burger where and when mahi-mahi isn't available. Would this burger also work with salmon? Absolutely. Freshness and a certain thickness of the filet to stand up to the bun are all this sandwich require. Rinse the fish fillets and pat them dry. In a small bowl combine the salt, pepper, paprika, and cayenne (if using). Sprinkle the spice mixture evenly on both sides of all the fish filets. Heat a large frying pan over medium heat. When the pan is hot, add the oil, and swirl it around to coat the bottom of the pan. When the oil is hot, place the filets in the pan. Cook, undisturbed, until the filets brown along the edges, about 3 minutes. Use a spatula to gently turn the filets over and continue cooking until the fish is cooked through and flaky in the center, about 3 more minutes. Lay out the buns, open. Spread each bun—top and bottom—with tartar sauce. Place a filet on each bun and top with an onion slice, a tomato slice, and lettuce leaves. Add the top buns and serve immediately.